KICK-OFF: In heavy rain, the ninth Premier League game of Boxing Day begins at St James' Park. Almost immediately it's the visitors, Everton, on the front foot, winning a couple of free-kicks around the Newcastle box, but the hosts stand firm to the early pressure. 5 mins: Another Everton free-kick, the best placed of them all so far, is awarded eight yards outside of the Newcastle box. It looks the perfect area for Leighton Baines, finally back in the team after a long-term injury, but the defender's left-footed effort loops high over Rob Elliot's crossbar. Still a little rusty. 9 mins: Everton have begun very much in the manner of a side beaten just once on their travels - at Arsenal - this season, and their intricate passing and possession has just got them in behind the Newcastle defence again. However, when Seamus Coleman pulled a pass back, it evaded the lurking Romelu Lukaku and Kevin Mirallas. 12 mins: Here come the Toffees again, and this time Chancel Mbemba has to come to Newcastle's rescue after Lukaku had tricked his way into the area. Surely it won't be long before Roberto Martinez's team find a way through. Meanwhile, Daryl Janmaat is the first player in Lee Mason's notebook after he was cautioned for raking his studs down the calf of Gareth Barry. 19 mins: The game continues to be played in the Newcastle half, and Rob Elliot is forward into making another save, albeit one of the comfortable variety. The stand-in stopper had no trouble in getting down low to hold Mirallas' shot after the Belgian had turned away from his man on the edge of the box. 24 mins: After a long spell soaking up pressure, Newcastle counter and almost strike Everton with the classic sucker-punch. Janmaat overlapped on the right, and his excellent cross was centimetres too high for the arriving Aleksandar Mitrovic, flicking off the top of the striker's head and away towards the corner flag. It's much better from Steve McClaren's men. 28 mins: The in-form Romelu Lukaku is causing Newcastle problems, and the Toon Army are fortunate to escape twice in a matter of seconds. First the Belgian was clearly hauled to the ground by Fabricio Coloccini as the striker challenged Rob Elliot for a loose ball, a incident that Lee Mason dismissed as nothing, and then moments later he was set free, but his first-time effort on his right-foot was pushed away by the hosts' custodian. Roberto Martinez will know that Everton will have to start taking some of these chances. 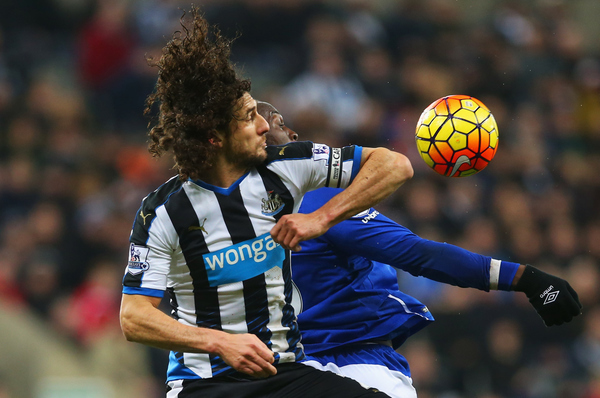 Fabricio Coloccini 'gets close' to Romelu Lukaku. 35 mins: GARETH BARRY YELLOW CARD KLAXON!! The Everton midfielder is penalised for a mistimed sliding challenge on Ayoze Perez on the touchline. That's the 416, 712th yellow card of his Premier League career. 38 mins: A soaked pitch has made for some heavy legs, and as a result the game is being played in a very open manner. However, a decent final ball has so far evaded both sides each time they threaten, and these often-leaky defences remain on top. 41 mins: Daryl Janmaat - already booked, of course - has just committed a needless, risky foul by bringing Barkley down as he strode purposefully towards goal. It was a preposterous decision from the defender considering his previous yellow card, and Lee Mason will do well to explain why it didn't mean the end of his involvement this evening. The Dutchman clearly has big things planned for the rest of the festive period. "Help me out, Ross. I've got tickets to Aladdin at the Tyne Theatre on the 28th." 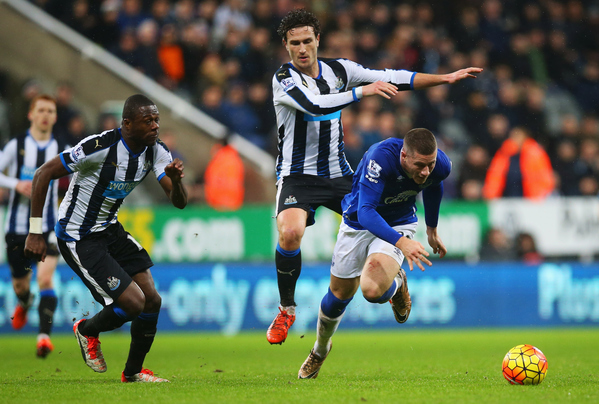 45 mins: With half-time approaching, Kevin Mirallas flicks another half-chance wide of the Newcastle goal. Aaron Lennon has been productive on the right so far, and his cross picked out the Belgian in the area, but the subsequent header was off target. There will be one minute of added time to be played. SECOND HALF KICK-OFF: Newcastle get the game going again, and it's worth remembering that in both of their recent victories, against Liverpool and Tottenham, all four of their goals came deep into the second period. 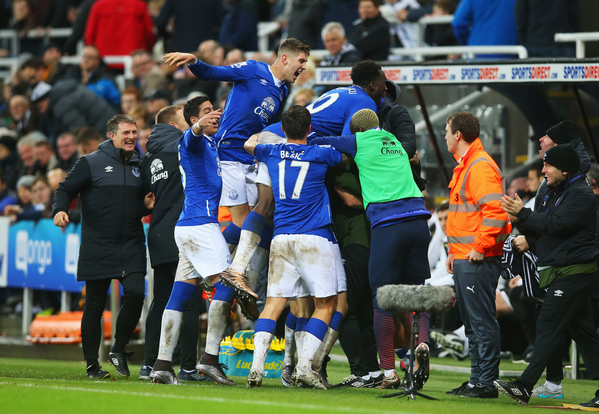 Will Everton rue not taking advantage of their early dominance? 51 mins: And already Newcastle are hinting that they are a second half side. They may not have mustered a goal, or even a shot, but they've forced two corners since the restart and have even managed a half-hearted penalty appeal when Lukaku headed clear on to Barry's body. 56 mins: Everton are back in the groove, and Tom Cleverley is only denied finishing off a lovely flowing move, featuring Mirallas, Lukaku and Lennon, by an excellent Janmaat challenge inside the penalty area. 58 mins: Lukaku again! Elliot again! Once more the Newcastle goalkeeper keeps his team on level terms by blocking a shot from the Everton striker at point blank range. The cheers from the home supporters quickly turn to boos, however, after a John Stones challenge on Perez from behind goes unpunished. This one has livened up. 64 mins: Having livened up, this match has now dropped to the floor and is playing dead. Ross Barkley did his bit in order to resuscitate it but his foul on Georginio Wijnaldum brought a yellow card and little else. 70 mins: Roberto Martinez attempts to shake things up with a double substitution. The Everton boss brings on Muhamed Besic and Gerard Deulofeu for Ross Barkley and Aaron Lennon, and the move nearly brings an instant goal - for Newcastle. The visitors failed to deal with a long ball played downfield, and that allowed Perez the opportunity to swivel outside the box, but his low right-footed drive was just wide of Tim Howard's near post. 73 mins: Newcastle should be in front! Moussa Sissoko did brilliantly down the left, skipping past an our of position John Stones, and his lifted cross was pinpoint for Aleksandar Mitrovic. The Serbian met the ball perfectly with a downward header, but as the stadium waited for the net to ripple, the ball flew a yard wide of the near post. Chances don't come much bigger and better. 82 mins: In front of the watching Duncan Ferguson, Jack Colback is booked for standing over the ball and not allowing Everton to take a quick free-kick. I imagine that's the equivalent of having to tell the boss of a high security prison - think Harry Grout - that you're in for credit card fraud. 85 mins: Everton make their final chance as Kevin Mirallas makes way for Leon Osman, who the BT Sport commentator refers to as 'the veteran'. We've finally made it to that point. 89 mins: As the game enters it's final moments, the home supporters break out a chorus of 'Pavel is a Geordie' in tribute to their former goalkeeper Pavel Srnicek, who suffered a heart attack while out jogging last week and remains in a coma. The Czech was one of the Premier League's most recognisable faces in its formative years and we wish him all the best. 90 mins: There will be three minutes of injury time for either team to find a winning goal. It seems unlikely. 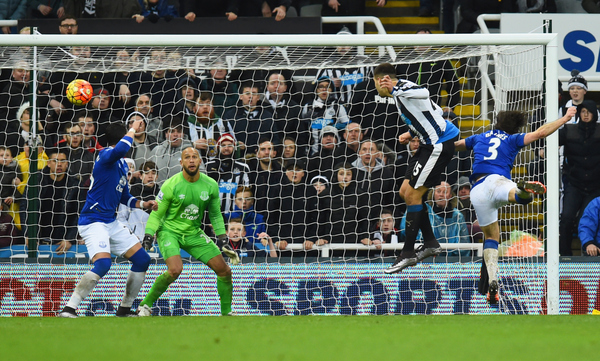 90+3 mins: Chancel Mbemba saves Newcastle with a last ditch tackle! Romelu Lukaku fancied one last attempt at finding another goal, and when he barged his way into the box, it looked to have finally arrive. However, out of nowhere, arrived Mbema to block the Belgian's shot and turn the ball away for a corner with just seconds left on the clock. Everton have won it! With the last kick of the game! And the last kick of the game was a header! From Leighton Baines' resulting corner, Rob Elliot - brilliant all evening - only managed to weakly punch out to the edge of the box, and there was Tom Cleverley to nod the ball back past the Newcastle goalkeeper and beyond two desperate defenders on the line. An astonishing finale! Finally, it's to the south coast for the final match of this action-packed day as Southampton take on Arsenal, and what better incentive for the visitors than knowing that victory tonight will take them to the top of the league. Let's have a recap of the teams. KICK-OFF: Arsenal, in their away colours of gold and black, get the final Boxing Day match underway with the top spot in sight. The Gunners are unchanged for the fourth match in a row while Southampton have made four changes as Ronald Koeman attempts to arrest a run of five games without a win. 2 mins: Two minutes in, and Olivier Giroud has his first sight of goal as he rises unmarked to head Mesut Ozil's corner over the bar from 15 yards. "In his form, he should be doing better," says Robbie Savage on BT Sport which is the immediate cue to mute the television. 7 mins: The wind is swirling around the stadium - it's Britain in December, after all - and it's causing problems for the sharp passing games of both Southampton and Arsenal. However, if either side are thinking of going long, it's worth pointing out that it was windy in Manchester too this afternoon, and Sunderland got thumped. 11 mins: After some early Arsenal pressure, Southampton have begun to show some spirit and intent, typified by a thumping challenge from Victor Wanyama. It might not be as good as goal, but it's got the home fans on their feet in expectation. 14 mins: While I continue to state the bleedin' obvious, a pass isn't as good as a goal either, but the reverse ball just played by Aaron Ramsey to free his teammate on the left was exquisite. It should be worth three goals. What a pass Ramsey! ???????????? 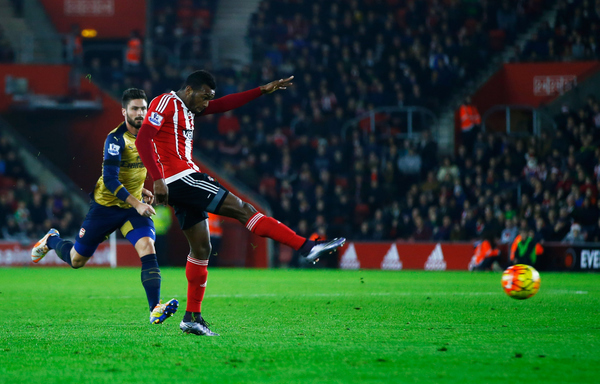 An unbelievable strike from Cuco Martina! On his first start, only in the team this evening because of an injury to Cedric, the right-back has just broken the deadlock with a beautiful strike from close to 30 yards with the outside of his right foot. A bogstandard Southampton attack looked to have broken down after Per Mertesacker headed clear a cross from the left, but Martina sent the ball back first time with interest. Superb! This picture does no justice to the goal. 23 mins: With their tails up, Southampton go in search of a second. When James Ward-Prowse cuts inside from the right, he brings the ball into Martina range, but that's where any similarity ends. The resulting shot was dragged wide of the target, and Arsenal have a chance to regroup. 28 mins: Somebody clearly poured too much brandy into Laurent Koscielny's Christmas pudding yesterday because the ever-reliable defender is playing as though he's punch-drunk. His wild slice in clearing a lofted ball almost played in Shane Long, and when the striker miscontrolled, the defender followed suit to almost allow another Southampton chance. 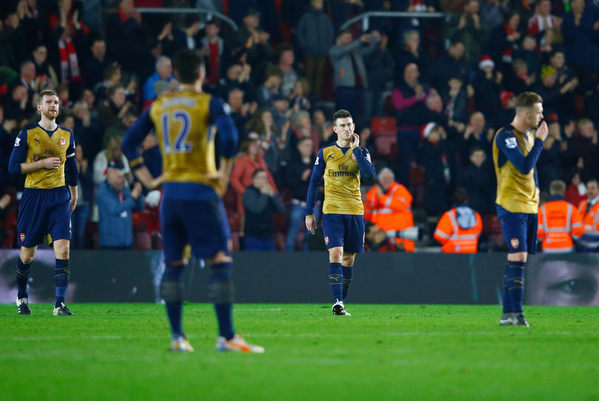 For once, Arsenal are lacking composure. 32 mins: Is there a weight in boxing below Junior Middleweight? Because I need to classify the recent off-the-ball incident between Mesut Ozil and Jordy Clasie. The two midfielders indulge in some meek pushing and shoving behind the referee's back, but it's hardly a remake of Franny Lee and Norman Hunter. As you were. 37 mins: A first glimpse of Theo Walcott as an attacking threat as the Arsenal man comes in off the right wing to work his way into the penalty area. However, Walcott is denied a goal against his former club by Maarten Stekelenburg's save. That, and the fact it was a powder puff shot. 43 mins: Arsenal have been pushing to find an equaliser before the half-time break, but Shane Long has just wasted a huge chance to put Southampton two ahead. The Irishman takes a great first touch to bring Sadio Mane's pass through on goal but, with the ball bouncing, his attempted lift over the oncoming Petr Cech was far too high to find the net. SECOND HALF KICK-OFF: Southampton get the match restarted at St Mary's, knowing that if they hold on to their lead in the next 45 minutes they will move seven points clear of the relegation zone Ronald Koeman has recently warned them about. Arsenal, remember, can go to the top of the Premier League if they are able to turn this around following Leicester's defeat earlier today. The ball is in the Arsenal net once again, but it's not going to count. Virgil van Dijk was first to James Ward-Prowse's inswinging free-kick, but the defender had just mistimed his run to be adjudged offside. 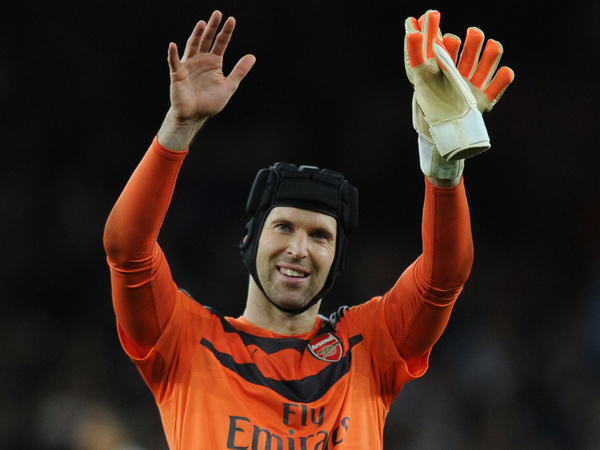 As the Dutchman looped his header goalwards, he clattered into the arriving Petr Cech, resulting in the keeper needing minor treatment from the Arsenal medical staff. The ball is in the Arsenal net again, and this one does count - but the Arsenal players aren't happy about it! The move began when Shane Long took control of a ball through the middle with his back to goal before laying it out wide right to Sadio Mane, but when the Southampton striker continued his run forward, he appeared to trip Per Mertesacker. The Arsenal defender's absence in the area meant Mane was easily able to pick out Long in the centre, and the Irishman had no trouble in converting past Petr Cech for 2-0. The top of the table looks a long way from Arsenal right now. 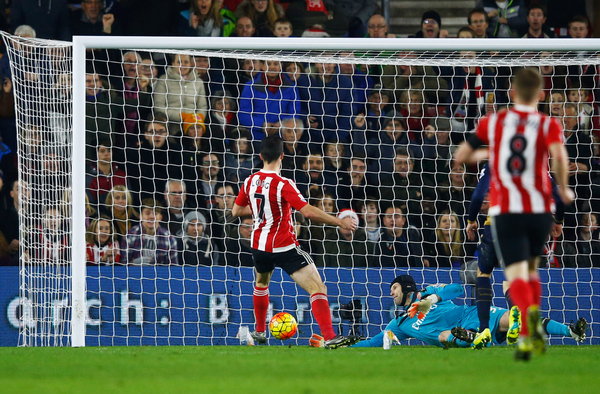 Shane Long doubles Southampton's lead. 60 mins: Arsenal are huffing and puffing around the Southampton 18-yard-box, but as of yet they are unable to find a way through the home side. After a prolonged stifled attack, Aaron Ramsey takes charge with a shot from 20 yards, but his deflected effort rolled into the hands of Maarten Stekelenburg. 63 mins: Joel Campbell is penalised for fouling Ryan Bertrand. Which is only noteworthy because it's the first time I noticed that the Arsenal man was playing. Meanwhile, Arsene Wenger is preparing another former Southampton youngster, Alex Oxlade-Chamberlain, for action. The forward will take over from the aforementioned, anonymous Campbell. Leicester will still be Premier League leaders tonight, but more importantly to Southampton and their supporters, their run of five matches without a win will come to an end and they can finally start looking upwards once again. Their third goal came from Jose Fonte, the captain arriving unmarked at the near post to head in Ryan Bertrand's corner. Arsenal gonna Arsenal. 3 - Southampton have scored three goals from just three shots on target against Arsenal. Triple. Jose Fonte powers home Southampton's third. 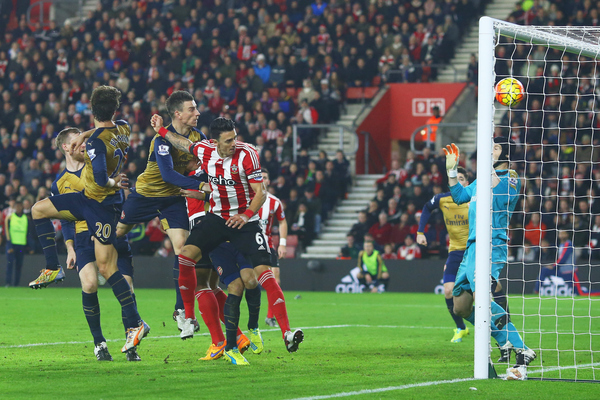 74 mins: Petr Cech at full stretch denies Southampton a fourth goal, and substitute Dusan Tadic an instant impact. The Arsenal goalkeeper flung himself to the right to push away the Serbian's long range effort. 79 mins: Mesut Ozil goes close to putting Arsenal on the scoresheet with just over ten minutes to play but his slight flick from Nacho Monreal's left-wing cross just span the wrong side of Maarten Stekelenburg's left-hand post. 84 mins: Alex Iwobi on in place of Theo Walcott. Calum Chambers on and in defensive midfield. Laurent Koscielny still playing. Yeah, I think Arsene Wenger has given up on his one. Blow the whistle, ref, Toy Story 2 is on the other side. 89 mins: Never mind Toy Story 2, it was nearly Southampton 4! Shane Long goes agonisingly close to adding his second and his side's fourth as he outpaced the Arsenal backline again, before curling a shot on to the base of the far post with Cech beaten. Happy Christmas, Arsenal fans. Shane Long has not stopped running from the first minute to last, and he's rewarded in the final seconds with another goal. Substitutes Juanmi and Dusan Tadic combined in midfield, and when the latter sent Long through on goal, there was only one outcome. The Ireland striker kept his head down, and powered a shot through the legs of Petr Cech. My word. The nearest Arsenal's defenders have been to their opponents all night. And that's all for a memorable Boxing Day when Louis van Gaal didn't get an apology, when Jamie Vardy and Romelu Lukaku didn't score, when Aston Villa didn't lose and when Arsenal didn't go top. Thanks for being with us, good night and Merry Christmas.